RAM: 192GB DDR3 RAM. Model: Dell PowerEdge R810. The Dell PowerEdge R810 provides performance and rack density in a scalable 2U, two- or foursocket server, allowing workload consolidation or high virtualization machine density. 2x600GB 10K 2.5“ SAS drives in hot swap caddies. (windows drive in raid 1 capacity 600GB). - 4x600GB 10K 2.5“ SAS drives in hot swap caddies. - 2U Rack Server ( front bezel and key included). CPU: X7560 x 4, 2.27GHz - 2.67GHz, 24Mb L3 Cache, 8 Core CPU. H700 Raid Card with 512MB Cache plus battery. Storage: 2 x Dell 146GB 15K HDD. Model: PowerEdge R810 6 Bay 2.5". 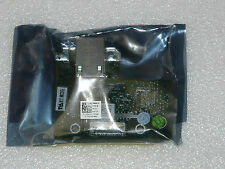 Idrac6 Enterprise, Bezel, DVD drive, 2 x Power Cable Included. 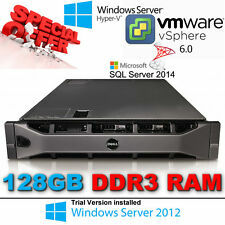 DELL PowerEdge R810, 256GB Ram, 2TB storage. 256Gb DDR3 ( Upgrade Possible ). Disk Upgrade available 4x 600GB 2.5" (more disk & caddies possible). 2 x Xeon X5675 3.06Ghz. Alternatively, you can collect the parcel from your local depot. 2U Rack Server ( front bezel and key included). - 4 x DELL Gigabit Server NIC Adapters. Ram Amount 256GB. Model PowerEdge R810. Product Line PowerEdge. Disk Space No HDD. System has been fully tested. Front bezel key is missing. Hard drive caddies are not included. No coa is attached to the casing. RAM: 128GB of DDR3 RAM (32 x4GB) (256gb RAM OPTION AVAILABLE) . DELL PowerEdge R810 Rack Server (2U). Tested with VMWARE ESXI 6 / Windows Server 2008 64x. Rail Kit: Not included . 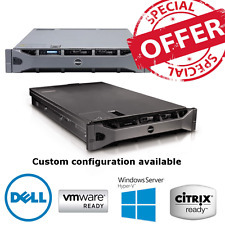 DELL PowerEdge R810 Rack Server (2U) DELL PowerVault MD1220 Direct Attached Storage. 1 x DELL PowerVault MD1220 Direct Attached Storage. RAM: 256GB of DDR3 RAM (32 x8GB). (Hard drives not included ). 1x PowerEdge R810 superb spec for your bucks. · Dell PowerEdge R810 2U Rack Server. 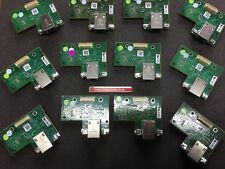 · 6 x 160GB SSD 2.5" Genuine Dell hot plug hard drives. · Rack Rails included. We will do everything we can to rectify the problem! All eleventh generation servers are designed to make the experience easier. The PowerEdge R610 provides an interactive LCD screen or LED display positioned on the front of the server for ease of monitoring and troubleshooting condition of the server. Dell Poweredge R810. 128GB Installed - ( Call for upgrades ). Dell HP IBM Workstations. Dell Workstations. Dell Precision 690. Dell Precision T7400. Dell Precision T5500. Dell Precision T7500. Dell PowerEdge R810 (4x E7-4860) 2.26 Ghz 10-CORE 256GB RAM PERC H700 32-CORES iDRAC 6 Enterprise & 2TB SAS. Dell Poweredge R810. DELL Poweredge Servers. Dell Poweredge 2850. 256GB Installed - ( call for upgrades ). Dell PowerEdge R810 4x xeon E7-4860 2.26Ghz 10-CORE 128GB DDR3 4x 256GB SSD ( 1TB ) - H700 RAID 512mb. Dell Poweredge R810. DELL Poweredge Servers. Dell Poweredge 2850. Dell Poweredge 1950. Dell Poweredge 2900. Dell PowerEdge R810 4x E7-4850 2.00Ghz 10CORE 256GB RAM PERC H700 40-CORES 1.2TB - Max Turbo 2.40 GHz. Dell Poweredge R810. DELL Poweredge Servers. Dell Poweredge 2850. 256GB Installed - ( call for upgrades ). Dell Poweredge R810. 256GB Installed - ( Call for upgrades ). Dell HP IBM Workstations. Dell Workstations. Dell Precision 690. Dell Precision T7400. Dell Precision T5500. Dell Precision T7500. (Dell Poweredge R810. DELL Poweredge Servers. 256GB Installed - ( call for upgrades )s ). Dell Poweredge 2850. Dell Poweredge 1950. Dell Poweredge 2900. Dell Poweredge 2950. Dell Poweredge R200.